I’m really trying to get back to blogging regularly again. Not only do I miss it, I cook everyday, and a lot of the time it’s a random concoction of real food and ingredients that’s pretty damn tasty! Therefore, I feel the obligation to share since 99% of the time said concoction is super easy. Eating healthy doesn’t need to be difficult or lack flavor. Water Chestnuts – like them? I love them. Something about that crispy crunch and that they maintain it after being cooked. I also know several people who hate them. Seems to be a love/hate thing. 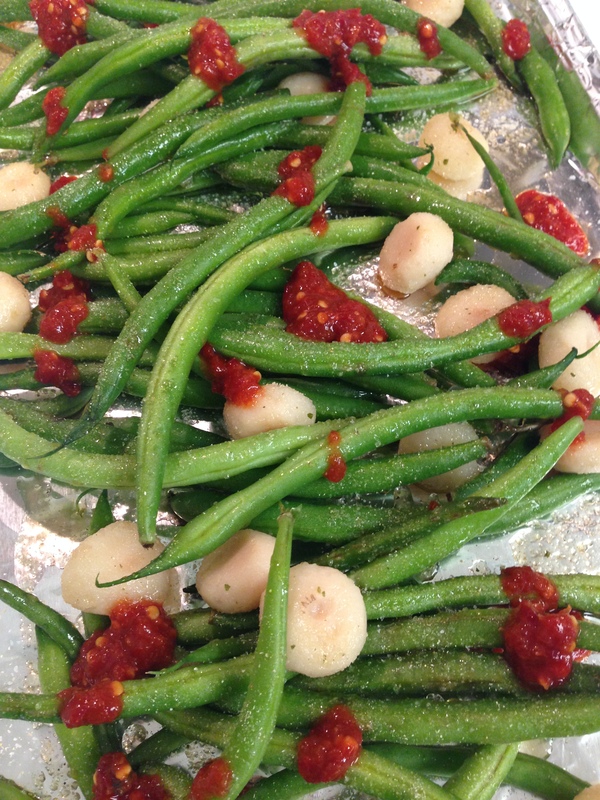 This recipe was inspired by green beans in the fridge and water chestnuts in the pantry (and maybe a recent trip to my favorite gluten free Chinese food restaurant here in San Diego), and rocked! 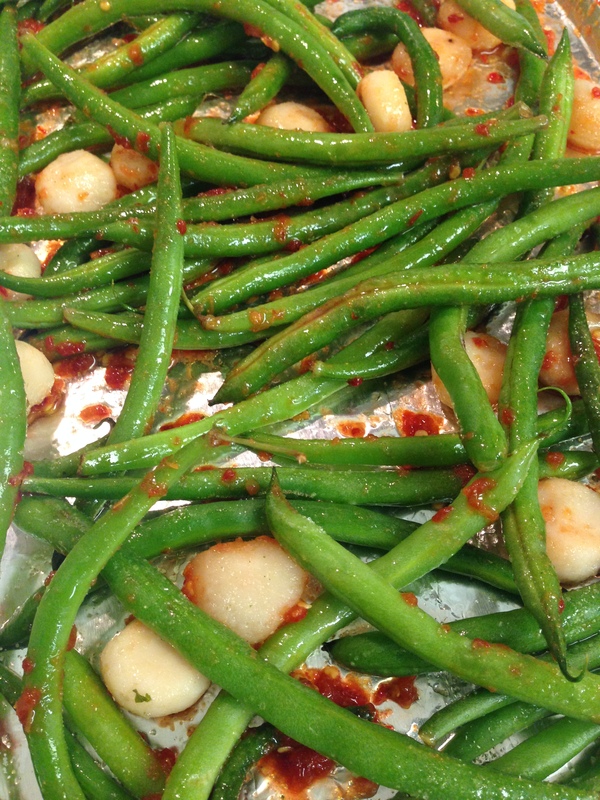 Place green beans and water chestnuts on baking sheet (I line mine with foil – easy cleaning), add a light drizzle of sesame oil over vegetables, sprinkle with garlic salt and spoonfuls of chili garlic sauce – I was generous for the spice factor. Toss to coat, and roast at 400 degrees until done to your liking. It doesn’t take long at high heat, but I prefer my green beans a little more charred. I took out and tossed in the middle just to stir things up. Great spicy sesame flavor, and I had the leftovers for dinner last night! Would make a great side dish, but I bet it’d be good as a cold salad too with maybe a fresh drizzle of sesame oil.